Home › Mac Book Pro › How to Install Windows 8 on a Mac Book Pro? 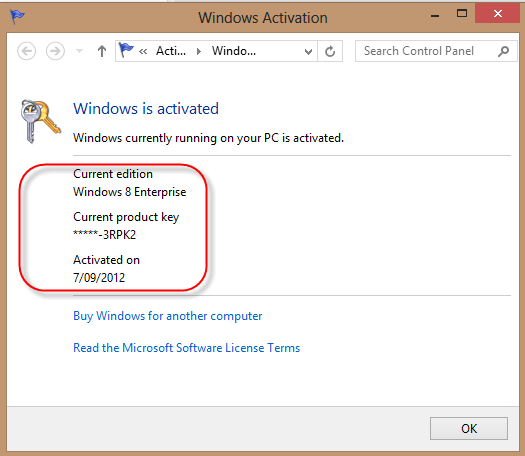 How to Install Windows 8 on a Mac Book Pro? I have been using Mac Book Pro with Windows 7 on Boot Camp for a while now. Next week I am going to TechEd 2012, Gold Coast so it nearly time that I get Windows 8 ready for my Mac Book Pro. Following are my experience of installing Windows 8 on Mac Book Pro. Windows 8 DVD with product key. I downloaded Windows 8 Enterprise x64 iso from MSDN. If you do not have MSDN subscription, than download the free trial http://windows.microsoft.com/en-AU/windows-8/download. Write down the product key to activate later. Mac book pro with Lion operating system. I decided to replace the existing hard disk with a solid state hard disk (OCZ 2.5″). It cost me $185. Then I installed Mac Snow Leopard OS from DVD, because I didn’t have a copy of Mac Lion OS. Then I upgraded to Mac Lion OS. This time I kept a copy of Mac Lion OS. Skip this step if you are not replacing hard disk of your Mac Book Pro. Burn Windows 8 iso to DVD using Mac Disk Utility with lowest speed. 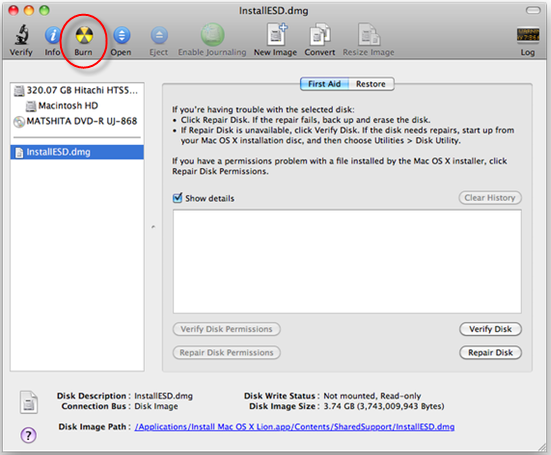 If you do not burn the DVD using Disk Utility, then you will get an error in next step while installing. Insert the windows 8 DVD into you Mac Book Pro. Open Mac Boot Camp Assistance and follow the prompt. 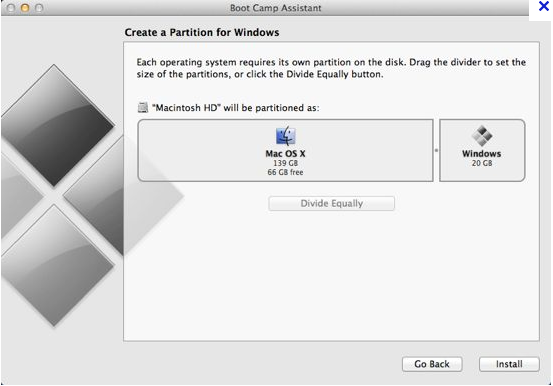 Create partition for Windows and hit install button. You can also download the Boot Camp Support for Windows from the Boot Camp Assistant start screen and store it some where to install it later on Windows 8. Format the selected drive to NTFS for Windows 8. If you are first time Windows 8 user I recommend you to watch this videos. 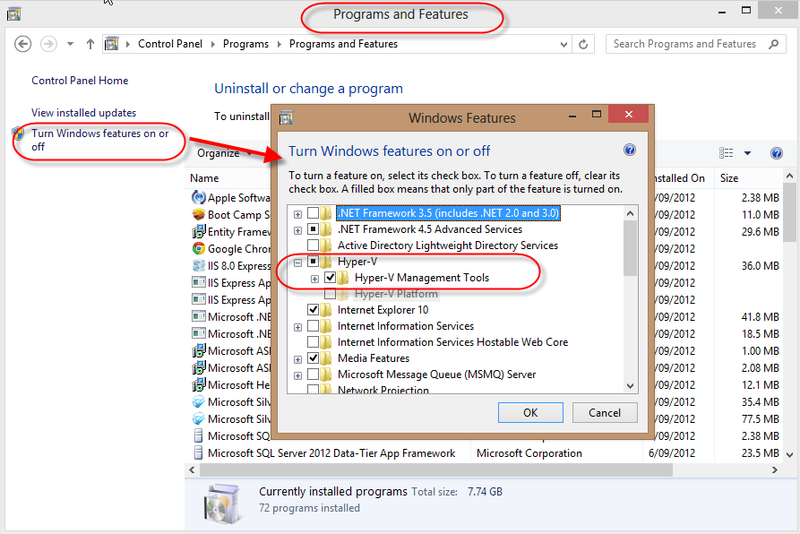 Install Boot Camp Support package on Windows 8 which you saved somewhere in step 3. This will install all the necessary drivers for Mac Book Pro hardware. 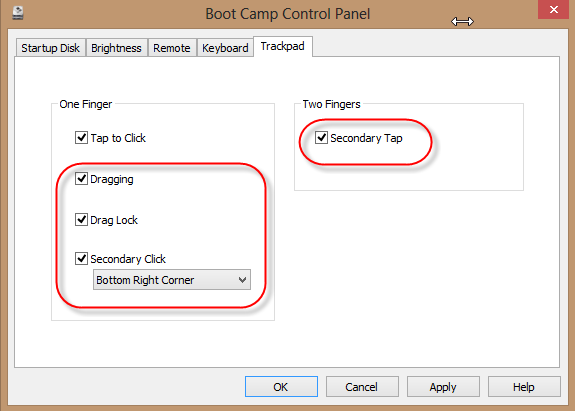 Open Boot Camp Control Panel from the Windows 8 system tray and select the following to user the track pad properly. Windows 8 freeze up and I have to press the power button for few second to do a hard reboot . I have done the following to resolve it. Also enabling Hyer-V made it stable and strongly recommended. Right click on Mac Book Pro trackpad is not working. I a using a wireless mouse for right click. To resolve it follow step 9. ‹ Why use ASP.NET MVC instead of Web Forms?